The list for photo trip essentials could probably cover five pages of content, but I'm going to keep it short. Let me preface this by saying, I am the world's least prepared person when it comes to photo trips... or any trip for that matter. I always forget something. The last photo trip that I went on, I forgot a memory card!!! Luckily, my husband, James (@jimmy2take on Instagram) is always prepared with backups of EVERYTHING. 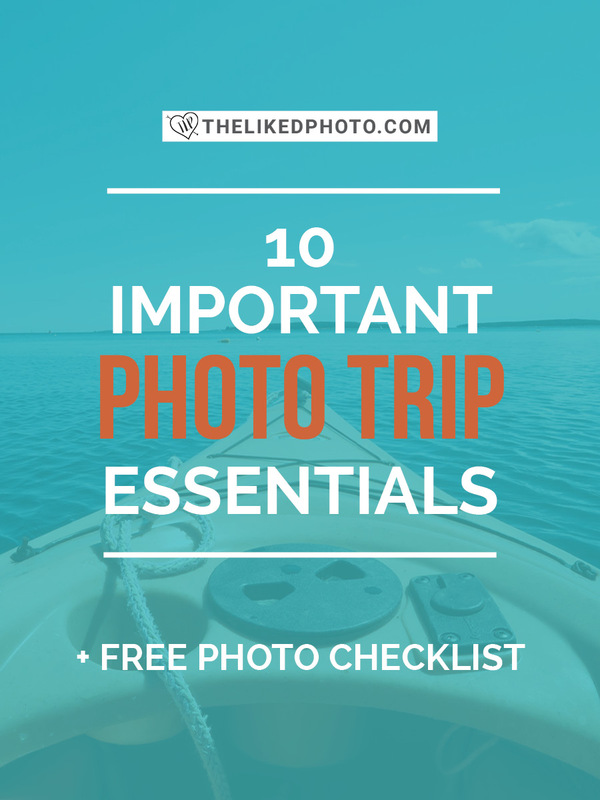 Whether you are shooting locally or taking a longer trip, here are some essentials that you should carry for any photography trip! I'm linking to my recommended items to make it even easier for you. These are just suggestions based on what I use or have used in the past. I am a Canon girl (sorry Nikon/Sony people!) and I'm absolutely head over heels in love with my 5D Mark iii and I would highly recommend it to anyone who is unsure of which DSLR to purchase. Lenses - whichever are appropriate for the shoot. The lens selection will differ for landscape photography vs. portraits etc. 16, 32, 64GB SD cards/CF Card - formatted and ready to go. RECOMMENDED: San Disk. I also recommend spending a little bit more money on quality. Cheap SD cards can fail and all your photos will be corrupt. Trust me YOU DON'T WANT THIS! It's one of the worst feelings. RECOMMENDED: Mountain Smith Day Lumbar Pack - An awesome day pack if you are looking only to carry one camera with one to two lenses and very versatile. This is not a standard camera pack but a great bag to work easily in and out of on day trips or week long backpacking trips. RECOMMEND- MY FAVORITE: Amazon Basics Bag - They actually just updated this bag since I bought it. They added a more convenient front pocket and a laptop sleeve in the back! This is my go-to bag because it's small, easy to carry and semi-discrete. Camera strap RECOMMENDED: Peak Design Camera Strap - interchangeable pieces to make it easy to remove straps and add them to different camera bodies. The strap is also very thin and lightweight, yet insanely durable for virtually anything you would need it for. RECOMMENDED: Mefoto Travel Tripod - it's cute and small and super easy to use! TIP: Three tennis balls with holes cut in them for photographing in sand - put one tennis ball over each leg's "foot" to protect it from that nitty gritty, nasty stuff. Trust me, you do not want sandy tripod legs!!! RECOMMENDED: UV Basic Filter - I don't use a polarizer that often. I use a super cheap UV filter - mainly to keep my glass safe from scratches and dust. Instagram story - share your trip with Instagram! Camera app - for setting up shots and grabbing those in between/ behind the scene shots that are everything.